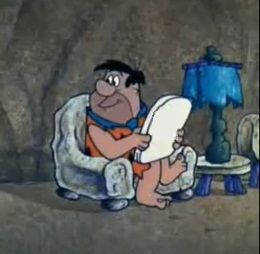 Peter Bryer: Mobile Foresight: Who invented the tablet?! Who invented oxygen? 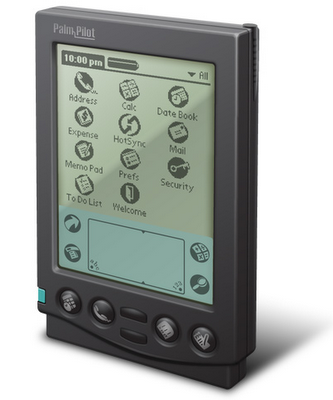 So, who invented the tablet form factor? This is certainly a topical discussion. 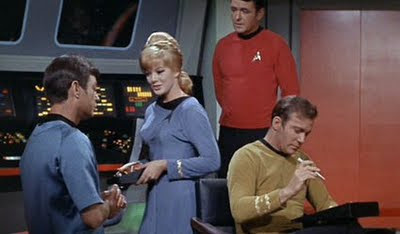 To anyone who has ever watched any sort of science fiction, from The Flintstones to The Jetsons, from Star Trek to 2001: A Space Odyssey, the concept of PDAs and tablets seemed rather obvious. It was a natural metaphor of touching and writing. Of paper and pen. Of pointing and gesturing. 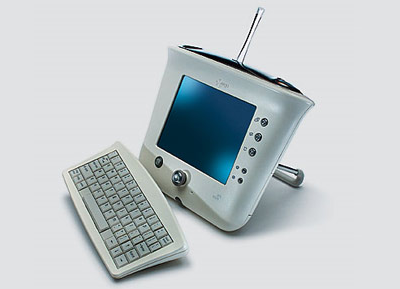 I like to point to the Nokia MediaScreen, a proof-of-concept device introduced at IFA in September 1999, as the start of big thinking when it comes to the tablet. 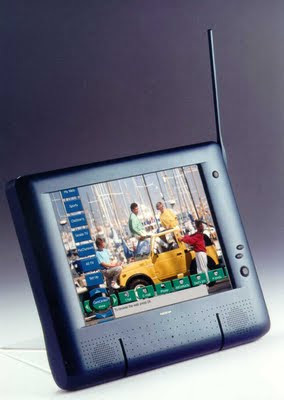 The MediaScreen was a Linux-based tablet concept device with a GSM uplink and DVB-T reception. It was hip, connected, exciting, and slightly ahead of its time. 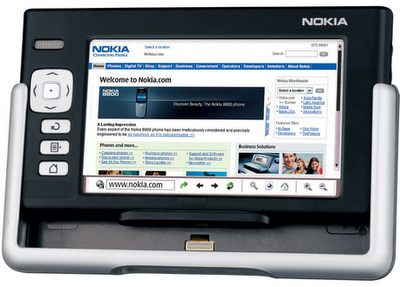 Nokia was at its peak during the time, and when Nokia spoke, the audience listened. The MediaScreen drove the fans wild. Was Nokia about to make the market for this new form factor? No. About a year later 3Com introduced the Audrey. It was the time of internet-appliance madness. The Audrey was almost as pretty as its namesake, Audrey Hepburn, but the product never made it as big. It was canned mid-2001. 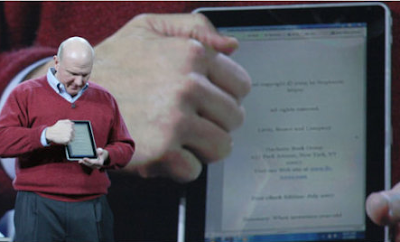 But around the same time, Microsoft began talking about tablets and pen-based computing. 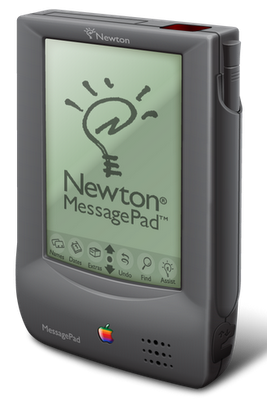 The products weren't mature enough to succeed, but the ideas were still flowing. Of course, the truth is credit is due to many. Gene Roddenberry and Arthur C. Clarke. 3Com and Palm (who were one in the same for a while). Apple and Nokia. Microsoft and Amazon. And many more. It's a shame to see innovation go flat as it is these days. Hopefully going forward, the industry will be on a roll. Note: Dinosaurs roam free in the background, making accurate time determination a bit tricky. Microsoft's Slate computer introduced Jan 2010. Samsung recently used "2001:A space odyssey" scenes to claim that the tablet was known prior-art, in their case against Apple!